Cebu is one of the provinces I’ve been able to visit for several times now. Cebu is the first destination I’ve flown to. I’ll never forget the first time I’ve got to this place. A lot of memories, great memories indeed. 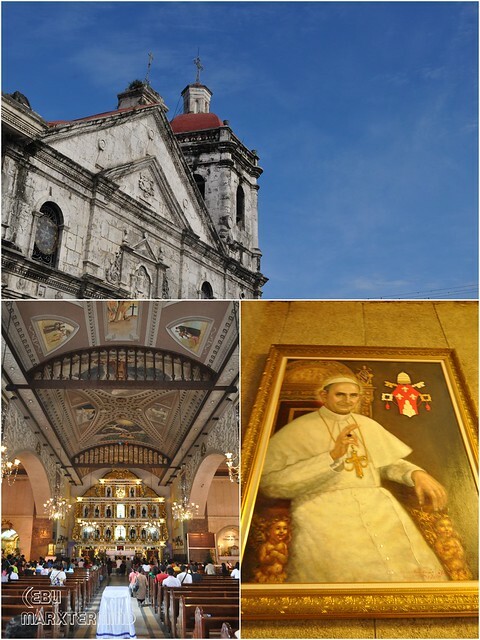 With this, I included a Cebu city tour on our week-long family trip. 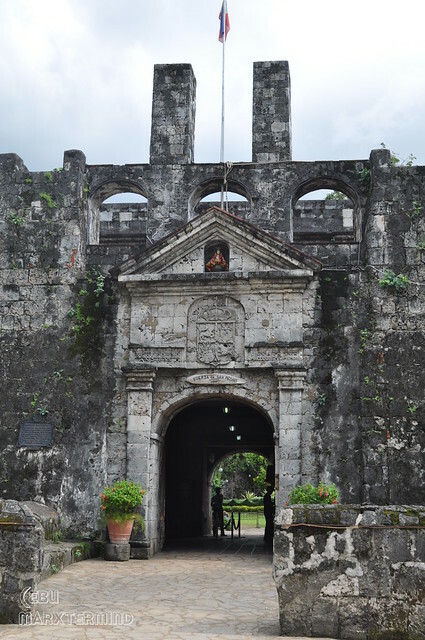 I wanted to revisit the history and beauty of Cebu. As well as to have my family to discover and enjoy those places as well. From Zamboanga City, we flew via Cebu Pacific flight to get to Cebu. Prior to our trip, I already contacted a van rental company which can take us around the city for a city tour. The cheapest van for hire I found on the net was from zTours (09236622776). The rate they gave us was around PHP 2,800 with driver and fuel for 8 hours rental around the city. Than van can fit 12 adults. We reached Cebu earlier than expected. We waited for a couple of minutes until our van arrived at 11:00 AM. When our van arrived, we boarded and immediately started the tour. We didn’t have relatives in Cebu so from this moment on I was the one who lead and organized everything about our travel. From Mactan International airport, we headed to Mactan Shrine. It was good to have this place first on tour because it was located in Mactan. It’s about 15 minutes ride to get to Mactan Shrine from Mactan International Airport. It was my second time to get here and I tell you it’s so hot. The sun was scorching. Good thing there’s an umbrella rental available outside the park. 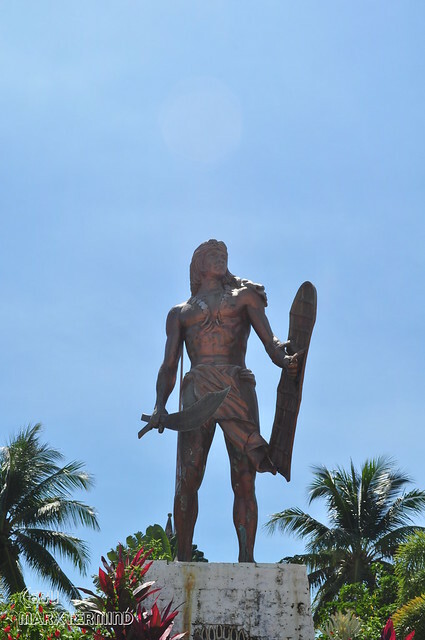 The shrine is erected in honor of Lapu-Lapu in defeating Spanish soldiers and killed Portuguese explorer Ferdinand Magellan’s in the battle of Mactan on 1521. It was burning, we couldn’t bear the heat of the sun so after taking some pictures we headed back to our van. I initially planed to have our lunch at Sutukil but my companions weren’t hungry yet and my cousins don’t like seafood. So, we moved on to our next spot instead. 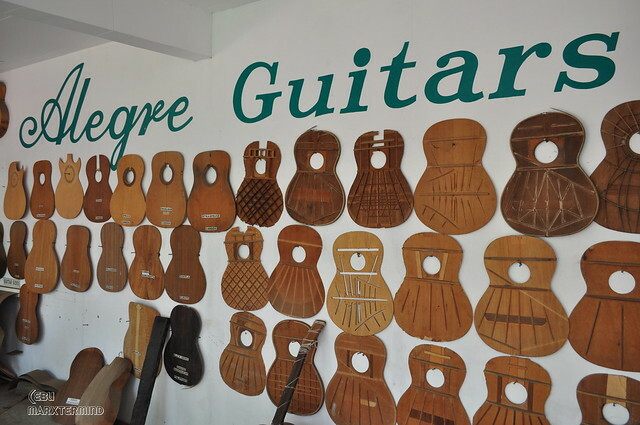 From Mactan Shrine we went to Alegre Guitar Factory. It was my first time to get here. 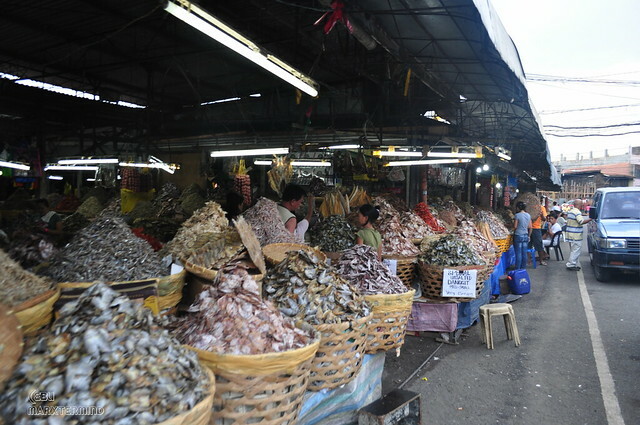 I didn’t know that Cebu is also known for guitars, thought Cebu is commonly known for dried fish and dried mangoes only. We ain’t going to buy guitar so we just roamed around and looked at the variety of guitars on display. We didn’t have any spot to see at the Mactan island anymore so we moved on and went to the city proper. It took us about 30 minutes to get to the city proper. But before we continued our tour, we took our lunch first. 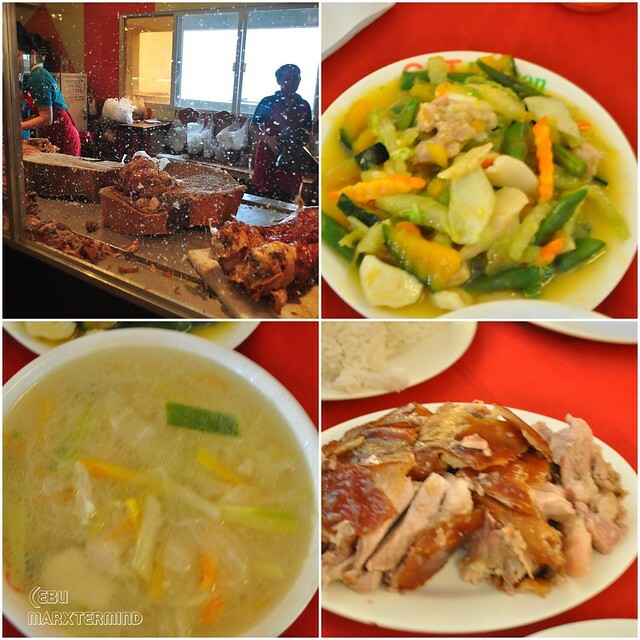 And because I wanted to have my family experience Cebu, I took them to CNT for lechon cebu. It was a good lunch. Affordable, indeed! The lechon didn’t disappoint us, still tasty as it is. After lunch, we went to Fort San Pedro. To get inside, there’s an entrance fee of PHP 30.00 for adults and around PHP 15.00 for kids. Before entering my Aunt asked me what to see inside and said it was like Intramuros and there’s a museum inside. Upon hearing that, they told me they don’t want to go anymore and just wanted to go straight to the church. Maybe their too tired to tour around and it was so hot, really! 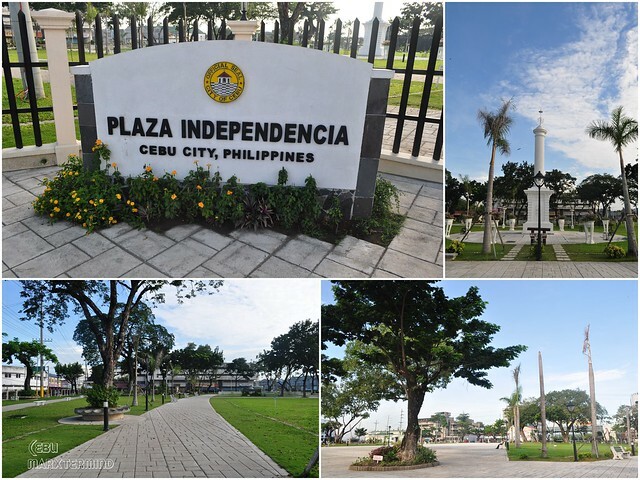 Fronting the Fort San Pedro is the Plaza Independecia. 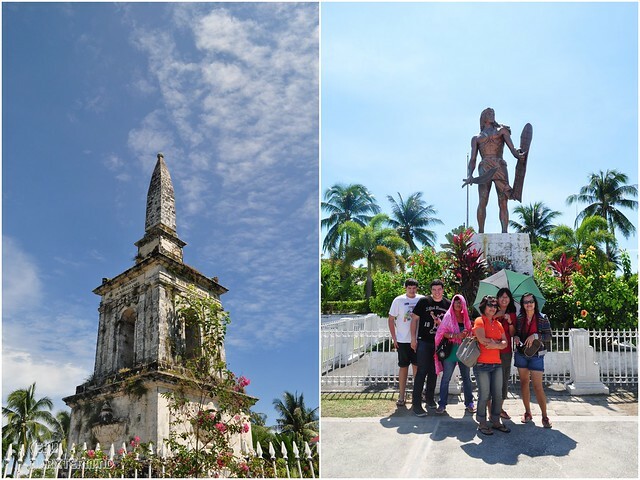 Just a few minutes away from Plaza Independencia was the Magellan’s Cross and the Basilica Minore del Santo Niño. Our driver advised us to take care of our belongings while we walked around the vicinity. First, we went to Magellan’s Cross. It was unbelievable that this cross is only housed in a small chapel. It was one of the famous historical spots I know when I’m still in school. I thought it was huge. Nevertheless, this cross still amazes me whenever I visit it. 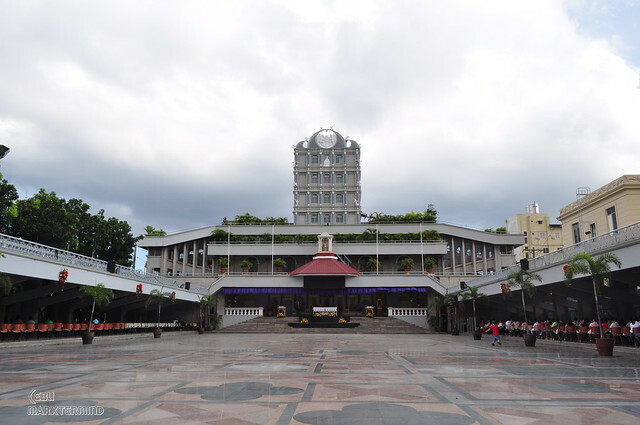 Just beside the Magellan’s cross was the Basilica Minore del Santo Niño. 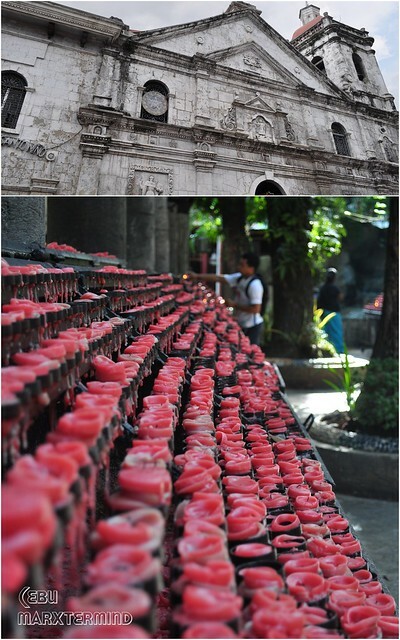 This is said to be one of the oldest church in the Philippines. 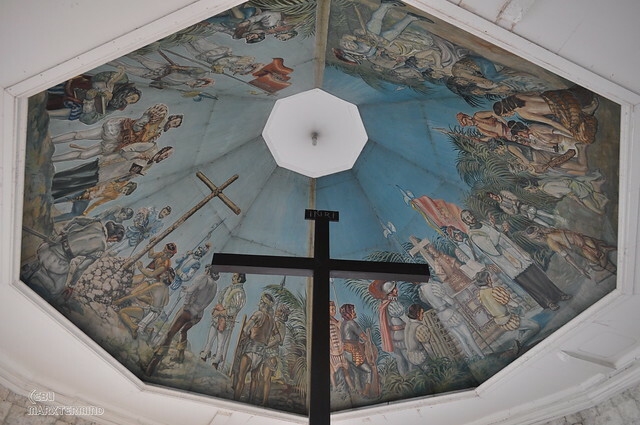 Cebu City is known to be the first Christian city in the country. Cebu celebrates its Sinulog festival every Janury in honor to Sto. Niño, or the child Jesus, who used to be the patron saint of the whole province. On the feast day, a Pontifical Mass is held at the Basilica. The majority of the city’s population and devotees would flock to the Basilica to attend the mass before heading out to the streets to watch the Parade. Afterwards, we moved on and went to our lodging. We checked in at Pacific Pensionne located Osmeña Boulevard, Cebu City. I kinda feel disappointed on how the rooms looked like when we checked in. The room where we stayed in way back 2010 was much better than this time. We booked 2 rooms good for 4 persons. We dropped our bags and rested for a couple of minutes. By 3:00 PM, we continued our tour. We went to Cebu Taoist Temple. The place is located inside Beverly Hills Subdivision. 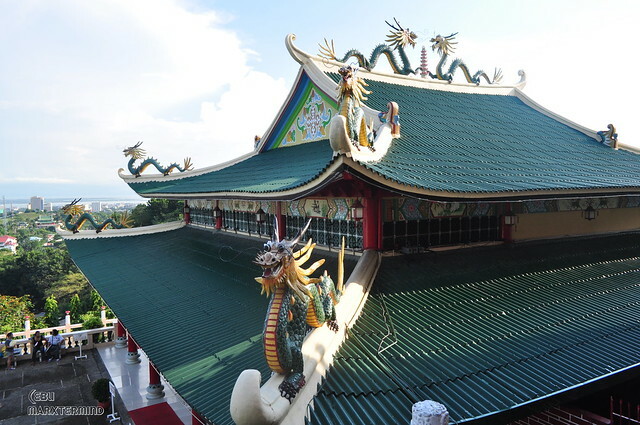 The Cebu Taoist Temple was built by Cebu substantial Chinese community. The place was too quiet. Pictures aren’t allowed on some places and spots. Pay respect when visiting the Taoist Temple. After roaming around quietly, we decided to leave and go to our next tourist spot. I can’t seem to think any spots anymore. We should have been to some other museums that Cebu has but I felt my companions were already tired from so much touring around from Zamboanga City then here in Cebu. So before we ended our trip, we dropped by to Taboan Market and bought some dried squid and dried mangoes for take home, oh I also bought some mango balls and mangorind, my favorites from Cebu. Moving on we went to our last stop, Ayala Terrace (Ayala Center) before we went back to Pacific Pensionne. There we waited for my two brothers who still came from Metro Manila. They’ll join the family tour on the next three days. Evening came, my two brothers arrived and we’ve decided to went back to Pacific Pensionne. It had been a long day. I actually wanted to meet up some friends who are in Cebu but I was too tired. Also, I needed to sleep early for our next day’s trip. 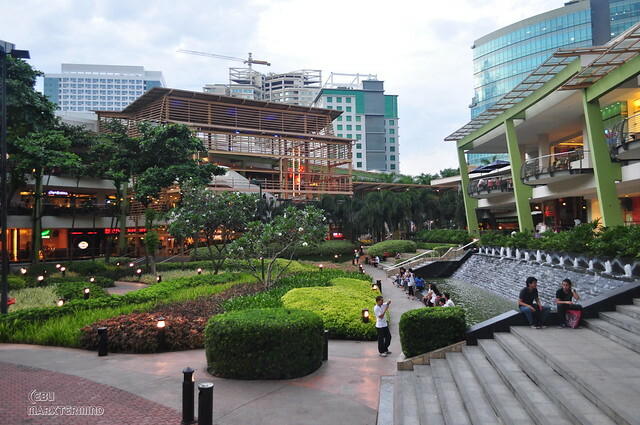 Some says Cebu is like Metro Manila already. Yes the place is growing but despite of being a metro city, it still doesn’t fail to amuse me. Cebu is still Cebu. The next time I get back to this place, maybe I’ll explore more of the beaches. It had been 2 years when I went to Bantayan, I might need to go back and have it experience again. Bring umbrella, cap or hut to protect yourself from the sun. The weather in Cebu is (so) hot. It’s more convenient to hire a van to tour around the city. You may contact the numbers below from Ztours Cebu. The service was good and we have nothing to complain about. Our drivers name who toured us around is Eyas. If you have more time to tour around Cebu, explore the beaches of Cebu like Malapascua, Bantayan, Moalboal and Oslob. Great blog! I love traveling and seeing a blog like this excites me. Thank you for posting this awesome blog, it helps a lot and it inspire a lot too. Keep on blogging! You got interesting blog. It really looks fun and wonderful in Cebu. Nice trip! hi there! 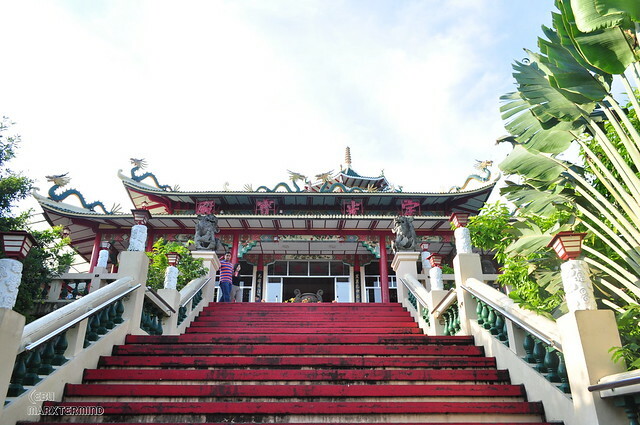 Taoist temple ang hindi ko napuntahan sa Cebu. marami rin akong hindi napuntahan bumisita kasi ako sa sister ko. hindi ko rin kasi nafeel ang cebu parang manila lang… Pero this year sana makabalik ako. So, maganda ba talaga sa taoist temple? Oo nga eh, dahil siguro na din sa pagod and sobrang init talaga eh! hehehe! waaaaah! favorite ko rin ang mangorind. Hindi na ata nakarating sa bahay yung mangorind na binili ko dati. hahah! sa sasakyan pa lang nilalantakan ko na. alam mo sa totoo lang, parehong reaction ng family ko nung nag cebu city tour kami. Bored at init na init. Hindi ata nila na-appreciate. Ang sakit naman kasi talaga sa balat. Hindi ko narating ang taoist. Buti ka pa.
bitin tlga yung cebu city experience ko.. grr. andaming wala sa check list ko. kelangan bumalik. I want to explore too. It is in fact a total package kasi may beach, may metropolis, old churches, etc. Haaaayyy…. Sana makapunta rin ako diyan minsan.